Suddenly I felt like eating chocolate fudge cake. I've made chocolate fudge cakes before, and I usually fall back on this recipe - Steamed Moist Chocolate Cake. 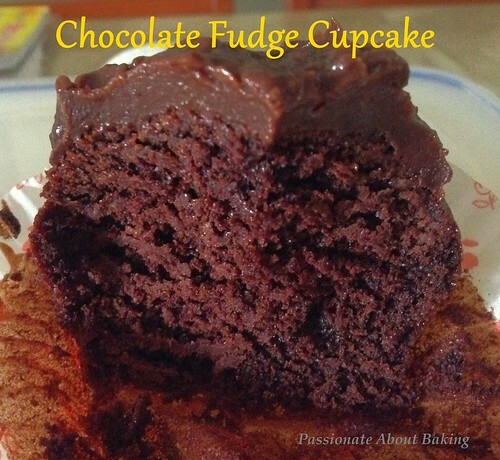 This recipe yields a very nice chocky and moist cake. However, this time round, I baked them into cupcakes instead. The baked cupcakes were dense and moist. The baked texture was different from the steamed texture. It makes quite a good dense cupcakes. 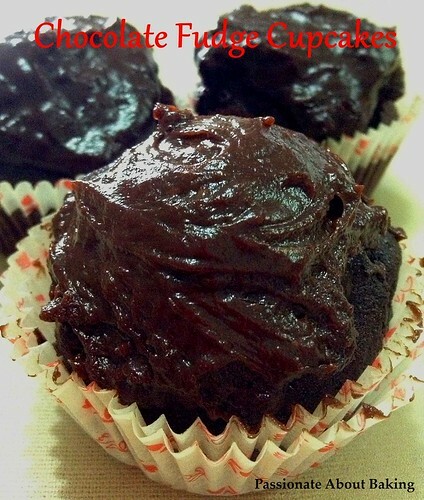 Recipe for Chocolate Fudge Cupcakes, adapted from Peng's Kitchen. Combine sugar, evaporated milk, vanilla essence and butter in a saucepan. Stir over low heat until sugar is dissolved and butter has melted. Remove from heat. Add the beaten eggs into the slightly cooled mixture and stir till well mixed. 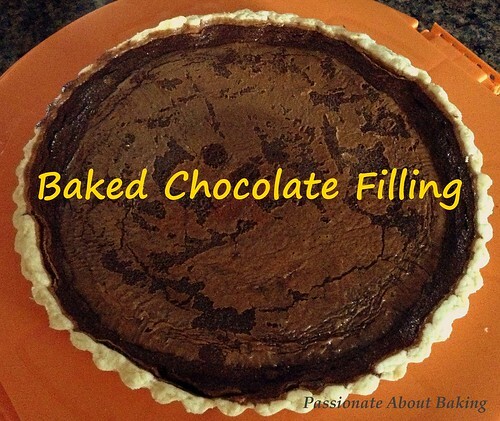 Sift the flour, cocoa powder, baking powder and baking soda into a large mixing bowl. Add the eggs mixture over the flour and stir till smooth. (Batter should be runny). Scoop them into muffin trays lined with paper cups. Bake at preheated oven at 180C for 20 mins. Or insert a skewer into the cake and comes out clean. Add butter, turn off fire and stir till the butter melts. Spread the warm fudge over the cupcake. Chill the cake in the fridge before serving. Easter week no hot cross buns, so I baked cinnamon buns. 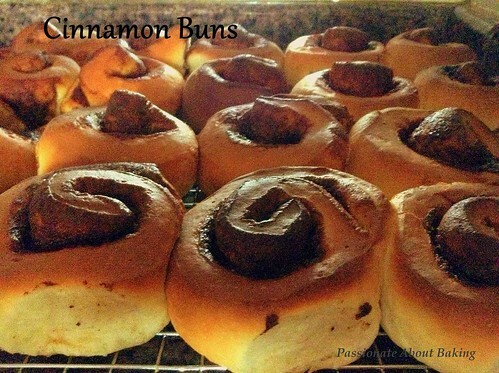 The picture from Indochine Kitchen just tempted me to bake these lovely cinnamon buns. I cannot resist cinnamon buns...especially when they are loaded with walnuts! These buns were really soft and fluffy. I shall attempt this again, this time, loaded with walnuts! 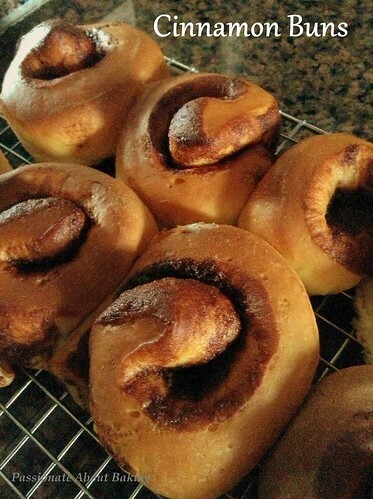 Recipe for Cinnamon Buns, adapted from Indochine Kitchen. Combine salt, sugar and butter in a mixing bowl. Cream with paddle attachment until smooth and pale on high speed. Add lemon zest. Beat until everything is mixed well, for another minute. Add in flour, yeast, egg and milk. Mix over low speed until all ingredients are combined together. Switch to dough hook and beat over medium speed for 15 minutes, until the dough crawls up the hook. Form the dough into a shape of ball. Place them in a bowl, spraying both bowl and dough with some oil if desired. Cover dough with plastic wrap. Let it proof at room temperature for 1-1.5 hours, until dough doubles in size. Lightly dust working surface with flour. Transfer dough to the counter and roll the dough into a rectangle with 0.5 cm thickness. 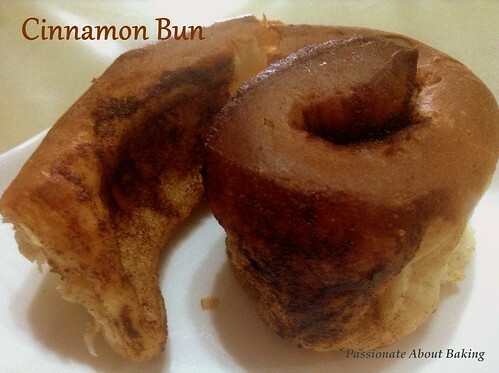 Spread the cinnamon sugar all over on the dough. Roll the dough away from you to the end, not pressing it too hard. The roll should be quite loose. Slice the roll into 2.5cm thickness buns. Place shaped buns on pan, spacing them about 2cm from each other. Let it continue to proof at room temperature for another 75 minutes. The buns should have grown into one another and almost double in size. Preheat oven to 180C and bake it for 20-25 minutes, or until brown. There are a few chefs which I like to watch on the cable - Anna Olson, Laura Caulder and Chuck on Asian Food Channel, Bobby Flay, Guy Fieri and Alton Brown on Food Network Asia. I would try to catch their recipe as they demonstrate, otherwise, I'll have to go to the website to search for it subsequently. I managed to catch "Chuck's Day Off" on one of the Wednesday evening last year. I copied the recipe and tried it. Actually I didn't refer to his website before I did the pizza. Only to realised that I had missed out 1/2 cups of flour. No wonder my dough was so wet!! Nevertheless, the pizza turns out very nice. The crust was really crispy and if you like pan pizza, the bread is really soft. 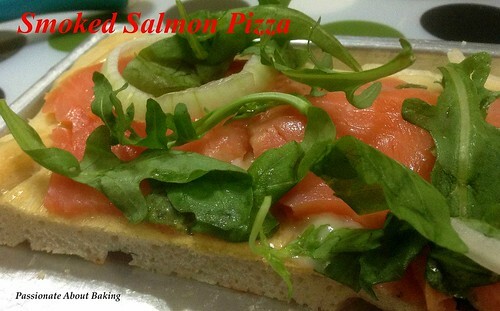 Here is the recipe for his pizza base. 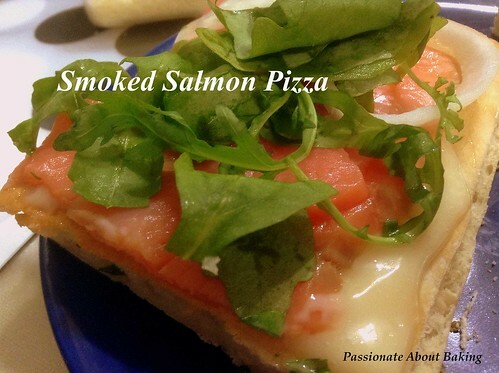 Recipe for Smoked Salmon Pizza, adapted from Chuck Hughes. In a bowl combine all the ingredients except the flour. Let stand until the mixture starts to foam, for about 15 minutes. Add the flour and knead until smooth, 5 minutes. Roll the dough in a lightly oiled bowl. Cover with plastic wrap and let rest in the refrigerator for at least 4 hours (or overnight). Take the dough from the fridge and split in 2. Knead and roll each dough ball to the desired shape and thickness, on a floured surface. Bake the dough at 200C for about 23 mins. Remove from the oven, let it cool slightly. 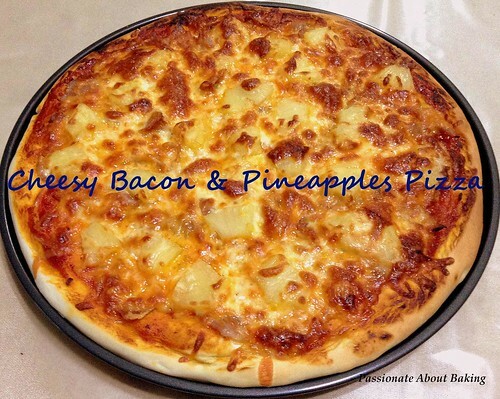 Mix the mayonnaise with honey and spread it generously over the pizza top. 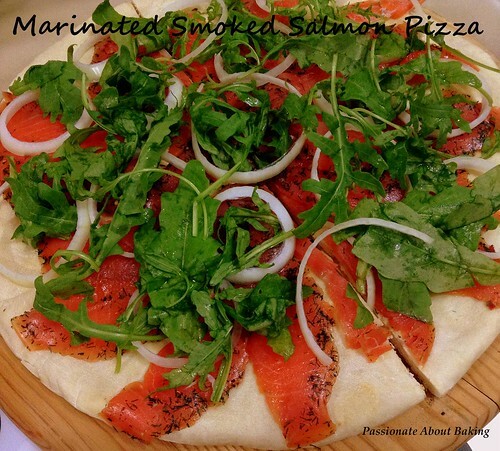 Arrange the smoked salmons on the pizza, topped with onions, wild rockets and sprinkle some ground black pepper. I made this pizza twice. The second time was more successful. 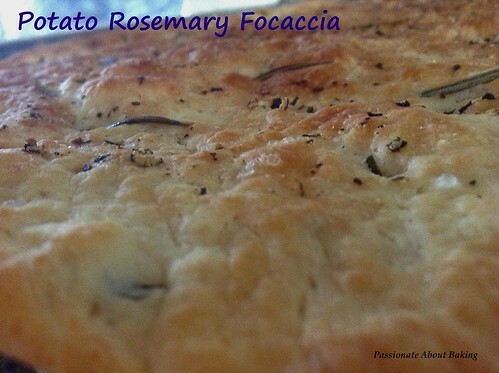 Some weeks back, I chanced upon an Indonesian bakery magazine and saw a very lovely picture of a Potato Rosemary Focaccia. 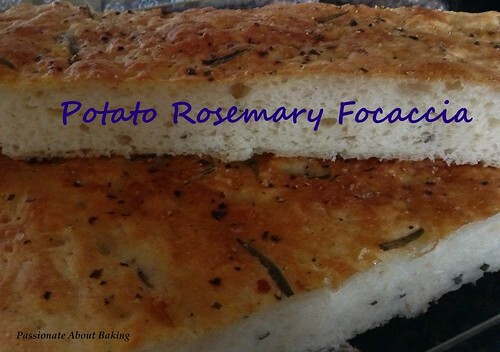 I couldn't help but to really want to try to bake this focaccia. Since it was printed in Indonesian Bahasa, I post a copy in the Singapore Homebakers' Facebook. Alice kindly did the translation for me. I've hence, uploaded the document back into the group to be shared with the rest of the homebakers. The bread was rather sticky and difficult to handle. I oiled the table-top and tried to knead them smoothly. It didn't turn out smooth though. I proceeded to just spread them out on my tray and let it proof. It proved beautifully and baked well. I placed it on the lowest rack of my oven to prevent burning the top. It baked well and was moist. It tasted even better when slightly toasted with cheese. 1 .Beat steamed potato with electric mixer till smooth. 2. Add in rosemary and oil, mix well. 3. Add in bread flour, salt, yeast and bread improver and mix low speed. 4. Add in sourdough, beat at high speed for 10 minutes until well mixed. 5. Rest the dough, covered with cling wrap. 6. Place the dough on an oiled tray pan. 7. 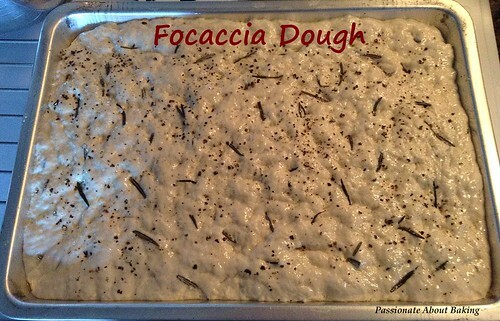 Brush oil on the dough, sprinkle rosemary, ground pepper and salt. 8. Rest for 20 minutes , and then bake for 15 minutes at 200C at the lowest rack. 9. Remove from the oven, let it rest for 30mins before removing from the pan. When weekends approach, I like to bake some desserts and bring them over to my mum's place to share with my siblings and extended family. 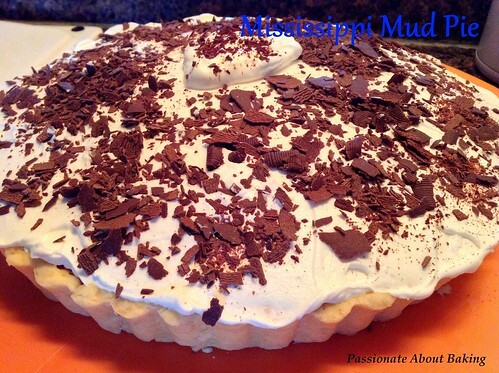 That weekend, I made a Mississippi Mud Pie. I've heard much about this pie and cake before, but I've never tried one, nor saw any in our bakeries. 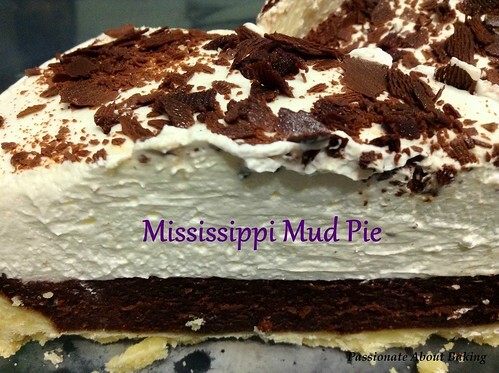 Recipe for Mississippi Mud Pie, adapted from "the Hummingbird Bakery Cookbook"
Add 1 tbsp water and beat until well mixed. Add a 2nd tbsp of water and beat until you have a smooth, even dough. If the dough is till a little dry, add another tablespoon of water, but be careful not to add too much, it is safer to beat the dough at high speed to try to bring the ingredients together. Wrap the dough in clingfilm and leave to rest for 1 hour (I left mine in the fridge overnight). Line the prepared pie dish with the dough and trim the edges with a sharp knife. Lay a sheet of parchment paper over the dough crust and pour in the baking beans. Bake the pie crust in the preheated oven of 170C for 10mins. Remove the parchment paper and baking beans, and bake for a further 10mins. The dough should still be pale and slightly raw in the centre. Leave to cool. Put the chocolate, butter and corn syrup in a heatproof bowl over a saucepan of simmering water. Leave until melted and smooth, then remove from the heat and leave to cool slightly. Gradually beat the warm chocolate mixture into the egg mixture on slow speed. Make sure the chocolate isn't too hot, otherwise it will scramble the eggs. Beat thoroughly until smooth. 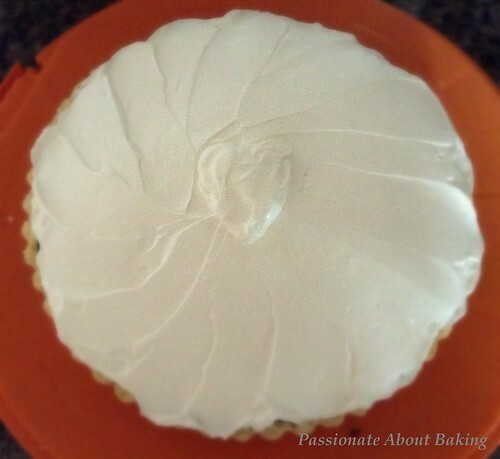 Pour into the partially blind-baked pie crust and bake in the preheated oven for about 20mins, or the pie is firm, but slight wobble in the centre. When you are ready to serve the pie, whip the cream and sugar with a handheld electric whisk in a bowl until soft peaks form, then spread over the pie and finish with chocolate shavings. Like I mentioned in step #2 above, the mixture of the eggs and sugar is watery. It shouldn't be whipped up. When I was whisking the mixture, I wonder what will the outcome of this mixture be. However, when I looked at the shallow pie dish, I figured the mixture at this stage should not be light and fluffy. When you blind bake your pie crust, ensure that there is no holes in it. The batter that goes into the pie crust is very very liquid. Should there be any open holes, then it will definitely seep through into the baking dish. The pie crust for this recipe is NOT nice. If you have a good pie crust, use yours. It doesn't really tell how much water to add, it's up to you to mix in the dough. The crust is hard and tasteless. If you like, you can improvise it to add sugar or salt. Nevertheless, this is not a good pie crust.